Roger Federer is expected to play mixed doubles with fellow Swiss national Martina Hingis at the 2016 Olympic games in Rio, Le Matin Dimanche newspaper reported, revealing what the paper called a "Dream Team". There had been widespread speculation that the two Swiss stars would team up. Hingis had reportedly made the offer to play with Federer and was waiting for a response from the winner of 17 Grand Slam titles. 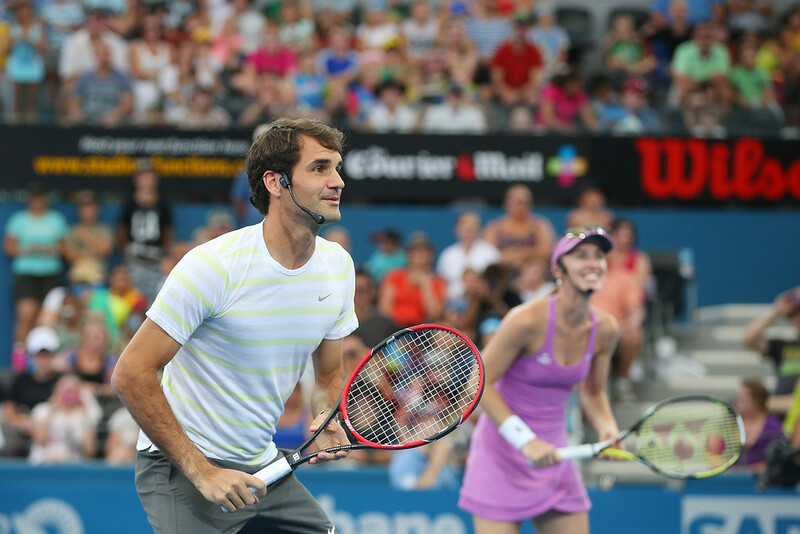 "Federer will play with Hingis. It's decided," Le Matin Dimanche said in a report that listed the composition of the Swiss "probable teams" for Rio. Federer had reportedly promised to declare his openness to the prospective Hingis pairing by the end of the year. Federer is also set to play men's doubles with Stan Wawrinka, the current world number four, with 11 ATP titles to his name, the paper reported. Swiss Davis Cup captain Severin Luethi, who will also lead the tennis squad in Rio, was quoted by the paper saying the goal for the 2016 summer games was "to win all the gold medals". "Why not?... We can always dream," he said. Hingis will play women's doubles with Belinda Bencic, a rising star who cracked the women's tour in 2011 and has already claimed more than $2 million in career earnings. Bencic will also play mixed doubles with Wawrinka, according to the report.